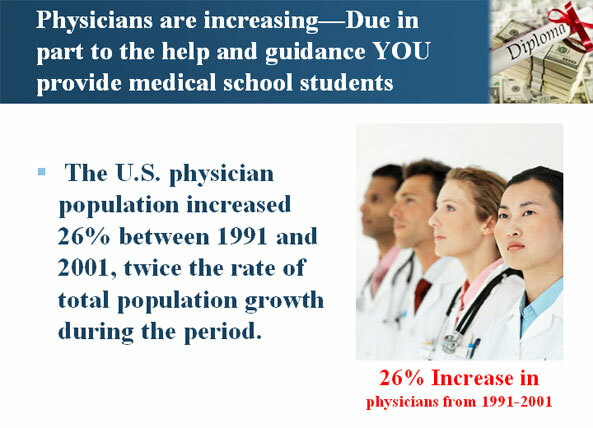 Just like you, at Medical School Loans, we have medical students' and physicians' best interests in mind. Our mission is to provide them with tools necessary to manage the student loan debt that they accrue during their schooling, to ensure a successful financial future. 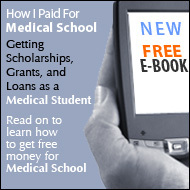 As a financial aid professional, medical students and new physicians look to you to provide them with information that they need to make educated decisions about managing their medical school loans through consolidation. To meet our common goal of helping medical students and graduates, we have provided you with a list of benefits that come with a student loan consolidation through Medical School Loans. In order to accommodate all of the loans that medical students and physicians incur, we offer both federal and private medical student loan consolidations. This allows our borrowers to retain all of the benefits that each kind of loan separately offers. To help our borrowers save as much money as possible, we offer an interest rate reduction of.25% on private consolidations. This borrower benefit helps our clients save on unnecessary interest. We offer several flexible repayment options with both our federal and private consolidations. These options allow borrowers to be in control of choosing a monthly payment plan that best suits their financial situation. They may also change their repayment option as often as they choose. We also offer extended repayment options of up to 30 years on both types of consolidations to help make our borrowers' monthly payments as small as possible. Medical School Loans specializes in student loan consolidations and we focus our efforts on doing one thing, and doing it well! This allows us to provide the highest quality of service to our borrowers. Our unique one-on-one service allows our borrowers to talk to the same loan representative every time that they call in with a question or concern. This also gives our representatives an opportunity to become familiar with each individual borrower, their loans and their specific needs. We know that our borrowers' time is precious. That is why we make our application to consolidate quick and simple! Borrowers may complete their entire federal consolidation application online in just minutes with our convenient, e-signature option. And those who apply for a private consolidation may do so in just minutes with a short phone call! If Medical School Loans can be of any service to you with providing you further information about our student loan consolidation services, feel free to contact us at 800-680-7197.